Ready or not it is going to happen. It won’t be long until everyone will be able to enjoy craft beer and the beautiful taproom at Voyageur Brewing Company. The interior looks amazing thanks to the time and talent of local carpenters, painters and craftspeople. We knew it was going to be nice when we started but I don’t think anyone thought it would be as stunning as it is. We can’t wait to show you, but we have to, just a little bit longer. We hope to see you when we open February 12th. Until then, here’s the story of our interior of the taproom in Grand Marais, Minnesota. 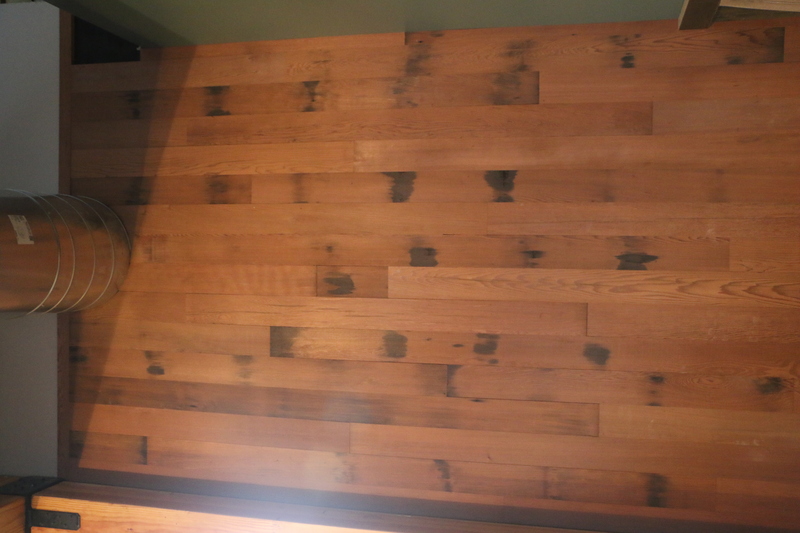 When you’re relaxing in the Voyageur Brewing Company taproom you’ll notice many different varieties of wood. One thing most of the wood has in common is that it is reclaimed. Why did we choose to use reclaimed wood you might ask? Reclaimed wood has ageless beauty and character as you can clearly see. It is higher quality than wood made today and is unique as well. Most importantly using reclaimed wood makes environmental sense. By not buying new wood we are doing the earth a favor. 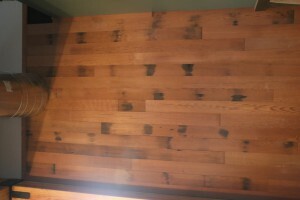 Much of the wood used on the interior of the Voyageur Brewing Company taproom is from Hovland, Minnesota. The interior siding we retrieved from an old barn on the Adam’s Farm. The base of the bar is made with cedar from the barn and has amazingly beautiful worm burrows in it. The birch used to make the back bar and the retail display is from the 1999 Blowdown. Mark Adams logged the wood using his horses. A large portion of the wood at Voyageur Brewing Company is from the old “Globe Company” in Superior, Wisconsin. This was at one time the largest terminal grain elevator in the world. The structures were made from trees found on the shores of the Pokegama River. The lumber was sent on trains to an onsite sawmill and then used to build the granaries. The first train carload of grain loaded into the elevator was October 3, 1887. 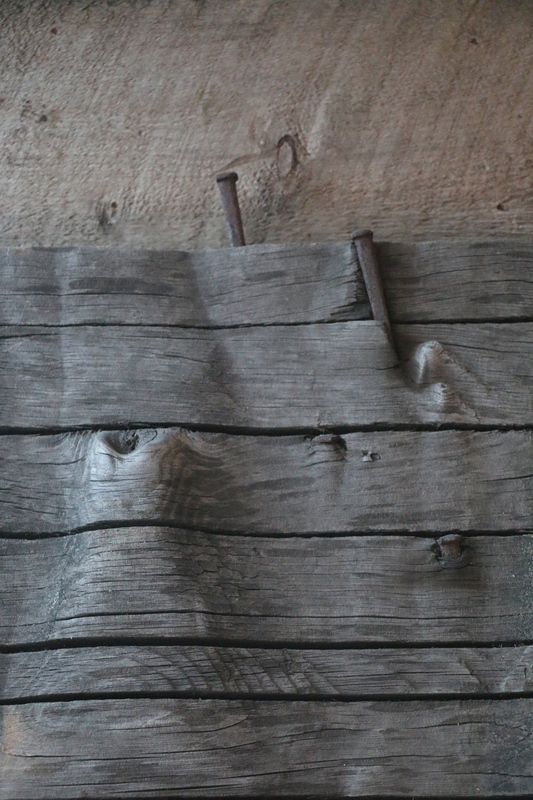 The wood featured at the entrance of the taproom is from a grain chute inside one of the silos. Years of grain sliding down it made the intricate designs in the wood. The 6×6 Oak posts used for railings were used to frame the huts on top of the steeples of the granaries. The 2” trim used in the taproom is also from Globe. We purchased the Douglas Fir for the tabletops and the Redwood that is on the wall facing the door of the taproom from Duluth Reclaimed Timber. The Redwood is from an old barrel used by Fitgers in their original brewery. Hedstrom’s Lumber Mill sawed the white pine for our bars, benches, countertops and mantel. The wood is from the Iron Range and local woodworkers Brian Sherburne and Randy Schnobrich crafted them into exquisite pieces of art. 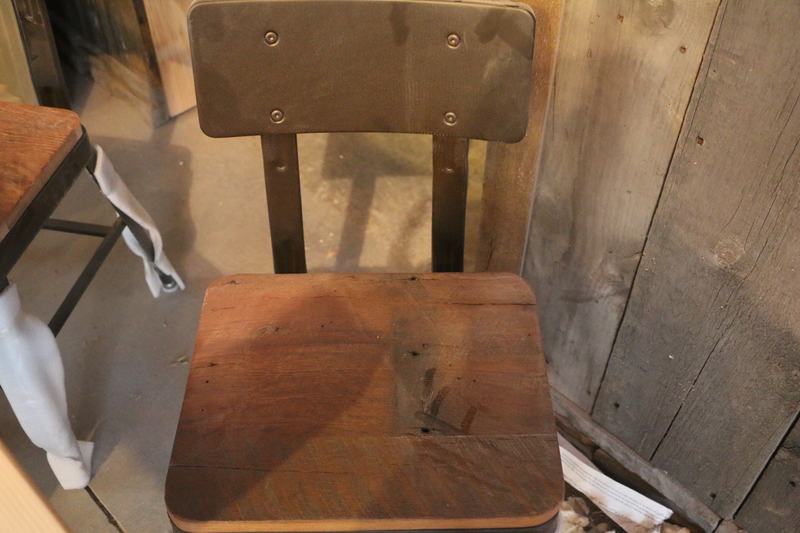 The tops of our barstools and chairs are made from reclaimed lumber. They are re-purposed by Amish Craftsmen in Pennsylvania. And last but not least our flight boxes are made from re-purposed pallets. We hope you enjoy the ambiance and character of our taproom as much as we do.